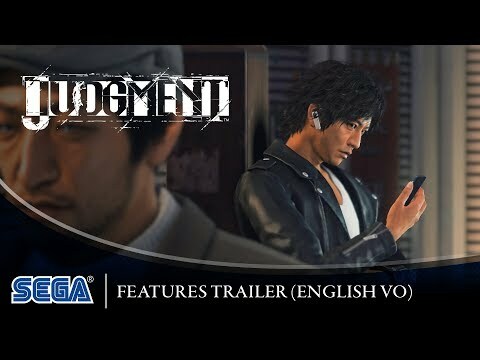 From the makers of the acclaimed Yakuza series, Ryu Ga Gotoku Studio, Judgment is the dramatic tale of a disgraced lawyer seeking redemption in a world rife with corruption and despair. Investigate the seedy Red Light District of Kamurocho by stepping into the mind of private detective Takayuki Yagami and utilize innovative investigation systems to uncover the secrets that lie deep within Kamurocho’s corrupt underbelly. Experience visceral combat with two unique combat styles. Take down groups of thugs with sweeping blows in Crane Style, then switch to Tiger to overwhelm a single foe with a series of powerful strikes. Practice mixing-and-matching styles in combat in conjunction with a wide variety of skills, weapons, and powerful (and hilarious) EX Actions to unlock a whole new dimension in combat. The upcoming Judgment PS4 release date is June 25, 2019 in the US and the UK. Notify me when Judgment is available.